RESUMING the subject of the last paper, I proceed to inquire whether the federal government or the State governments will have the advantage with regard to the predilection and support of the people. Notwithstanding the different modes in which they are appointed, we must consider both of them as substantially dependent on the great body of the citizens of the United States. I assume this position here as it respects the first, reserving the proofs for another place. The federal and State governments are in fact but different agents and trustees of the people, constituted with different powers, and designed for different purposes. The adversaries of the Constitution seem to have lost sight of the people altogether in their reasonings on this subject; and to have viewed these different establishments, not only as mutual rivals and enemies, but as uncontrolled by any common superior in their efforts to usurp the authorities of each other. These gentlemen must here be reminded of their error. They must be told that the ultimate authority, wherever the derivative may be found, resides in the people alone, and that it will not depend merely on the comparative ambition or address of the different governments, whether either, or which of them, will be able to enlarge its sphere of jurisdiction at the expense of the other. Truth, no less than decency, requires that the event in every case should be supposed to depend on the sentiments and sanction of their common constituents.Many considerations, besides those suggested on a former occasion, seem to place it beyond doubt that the first and most natural attachment of the people will be to the governments of their respective States. Into the administration of these a greater number of individuals will expect to rise. From the gift of these a greater number of offices and emoluments will flow. By the superintending care of these, all the more domestic and personal interests of the people will be regulated and provided for. With the affairs of these, the people will be more familiarly and minutely conversant. And with the members of these, will a greater proportion of the people have the ties of personal acquaintance and friendship, and of family and party attachments; on the side of these, therefore, the popular bias may well be expected most strongly to incline. 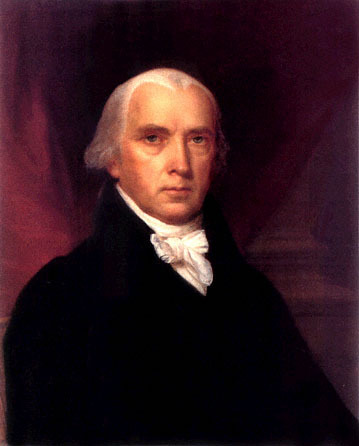 Today’s post is FEDERALIST PAPER #46 – The Influence of the State and Federal Governments Compared written by James Madison and published Tuesday, January 29, 1788. 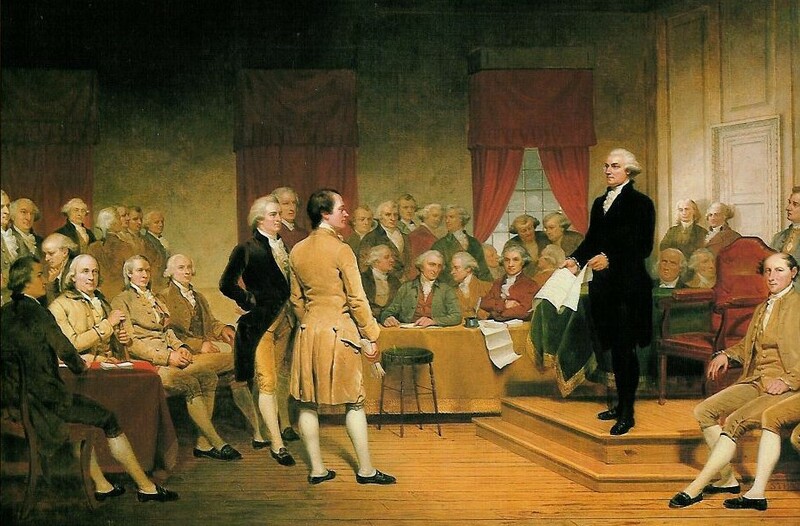 In this essay Madison “proceeds to inquire whether the federal government or the State governments will have the advantage with regard to the support of the people”. Madison argues that “it beyond doubt that the first and most natural attachment of the people will be to the governments of their respective States” because “a greater proportion of the people will have ties of personal acquaintance and friendship, and of family and party attachments; on the side of these, therefore, the popular bias may well be expected most strongly to incline”. Further “If the people should in future become more partial to the federal than to the State governments, the change can only result from such manifest and irresistible proofs of a better administration”. And “ the people ought not surely to be precluded from giving most of their confidence where they may discover it to be most due; but even in that case the State governments could have little to apprehend, because it is only within a certain sphere that the federal power can, in the nature of things, be advantageously administered”. Plus “ ambitious encroachments of the federal government, on the authority of the State governments, would not excite the opposition of a single State, or of a few States only. They would be signals of general alarm. Every government would espouse the common cause. A correspondence would be opened. Plans of resistance would be concerted. One spirit would animate and conduct the whole. The same combinations, in short, would result from an apprehension of the federal, as was produced by the dread of a foreign yoke”. Madison then argues “the only refuge left for those who prophesy the downfall of the State governments is the visionary supposition that the federal government may previously accumulate a military force for the projects of ambition”. And “extravagant as the supposition is, let it however be made. Let a regular army, fully equal to the resources of the country, be formed; and let it be entirely at the devotion of the federal government; still it would not be going too far to say, that the State governments, with the people on their side, would be able to repel the danger”. Further “besides the advantage of being armed, which the Americans possess over the people of almost every other nation, the existence of subordinate governments, to which the people are attached, and by which the militia officers are appointed, forms a barrier against the enterprises of ambition, more insurmountable than any which a simple government of any form can admit of. Madison concludes with “either the mode in which the federal government is to be constructed will render it sufficiently dependent on the people, or it will not”. And “On the first supposition, it will be restrained by that dependence from forming schemes obnoxious to their constituents. On the other supposition, it will not possess the confidence of the people, and its schemes of usurpation will be easily defeated by the State governments, who will be supported by the people”. Finally “On summing up the considerations stated in this and the last paper, they seem to amount to the most convincing evidence, that the powers proposed to be lodged in the federal government are as little formidable to those reserved to the individual States, as they are indispensably necessary to accomplish the purposes of the Union; and that all those alarms which have been sounded, of a meditated and consequential annihilation of the State governments, must, on the most favorable interpretation, be ascribed to the fears of the authors of them.